More than 30 per cent of local authority-maintained secondary schools are now in deficit, new data from the Department for Education shows. Statistics published by the government today show a worsening financial position for council-maintained schools as real-terms budget cuts continue to bite, with the number in deficit rising. At secondary level – the average deficit posted by schools rose by nearly £70,000 to -£484,000. Meanwhile, the proportion of schools posting a budget surplus also decreased. 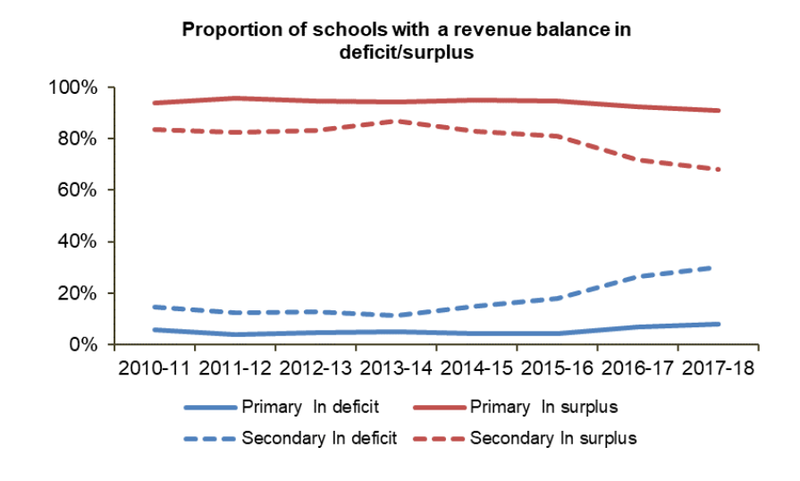 According to the government, 313 of the 1,037 local authority-maintained secondary schools in England had a deficit revenue balance in 2017-18. At primary level, 1,019 of 12,656 LA-maintained schools, or 8 per cent of those nationally, were in deficit that year. It follows warnings from headteachers of bigger class sizes, cuts to support and pastoral services, reduced subject choices and staffing cuts. 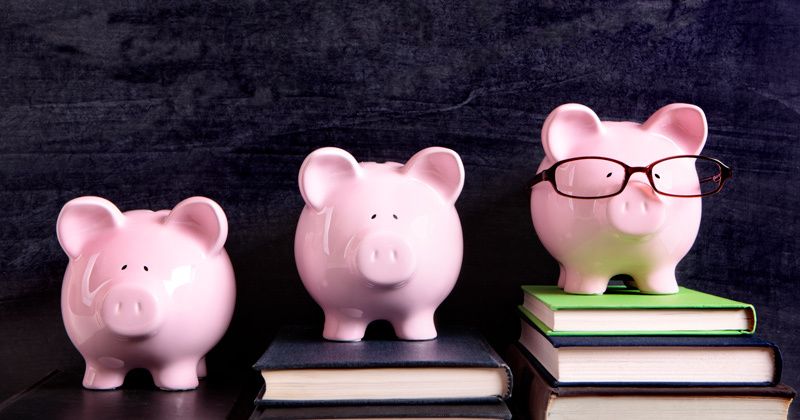 Jon Andrews, deputy head of research at the Education Policy Institute (EPI), said: “Today’s statistics are a stark reminder of the financial pressures facing schools, with nearly 1 in 3 maintained secondary schools now in deficit. Overall, 10.2 per cent of LA-maintained schools in England now have a deficit revenue balance, up from 9.1 per cent last year, the DfE reported. At the same time, the proportion of schools with a surplus has decreased from 90 per cent in 2016-17 to 88.6 per cent in 2017-18. According to today’s statistics, between 2016-17 and 2017-18, the average deficit in LA secondary schools rose by £68,000, from -£416,000 to -£484,000. Primary schools were, on average, also £6,000 more in deficit. The average surplus in secondaries fell by £3,000, while the average surplus across primaries increased by £5,000.